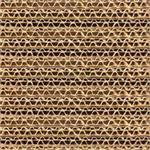 Corrugated regular slotted containers are furnished flat in unitized bundles. Boxes are brown both inside and out. Shipping and Storage Containers. BIISCO provides custom foam inserts and assembly for shipping and storage containers.